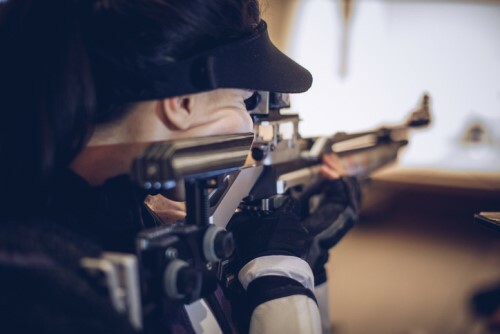 The shooting ranges industry in the US was worth about $1 billion in 2018. Gun ranges are used by law enforcement officers and military personnel for tactical skills practice, as well as ordinary folks who enjoy hunting or sporting pursuits. Shooting is a social activity that brings pleasure to many Americans … but it’s also inherently risky and can be quite tricky to insure. Some of the most common losses experienced by gun store and range owners are related to property and general liability. Depending on the kind of ammunition used, it can be quite common to experience a fire on a shooting range. Furthermore, gun stores are also exposed to ‘smash and grab’ theft losses, where criminals drive a car into the store or break a window and make off with a load of guns. On the general liability side, the most common claims revolve around suicides and accidental shootings. These are some of the harsh realities of working with live ammunition and guns. For example, a novice shooter might enter a range after some training, with the best intentions of having some fun, but they may experience some difficulties with their gun, try to work out what’s going on, and, in doing so, accidentally shoot themselves or another shooter when the gun rights itself. Blue River Underwriters, owned by risk solutions and services provider Breckenridge Insurance Group, has a dedicated team of experienced outdoors enthusiasts who can write comprehensive insurance solutions for retail gun stores with ranges. Stephanie Verseman, vice president and underwriter at Blue River Underwriters, told Insurance Business it’s “absolutely critical” for brokers, wholesalers and underwriters to understand this specialized risk, how to mitigate the exposures, and to know exactly what questions to ask gun store clients. “One of the major things we look at when we write these types of risks is whether the gun range has age controls. Previously in this marketspace, there were shooters on gun ranges as young as six-years-old. Our company does not allow anybody on the range unless they’re 12-years-old and older,” she told Insurance Business. “We want to ensure that people who are participating in shooting sports are old enough to understand and respect the rules involved. We also encourage classroom-type training before shooters are allowed to get going on the range. Most ranges require shooters to watch a safety video before they’re permitted to use the range. As well as having RSOs, gun stores with ranges should be full of well-trained staff with a keen eye for any red flags, according to Verseman. If they don’t know how to identify the red flags, this is where brokers and agents can provide invaluable, sometimes lifesaving advice. Sadly, suicide is a common exposure in this class of business. There are best practices that gun stores and ranges can follow in order to mitigate that exposure, including: making sure there’s a buddy system, making sure there’s direct communication between employees and customers, and identifying any abnormalities or red flags. “Gun shop owners and RSOs tend to be really well trained in terms of looking for red flags,” Verseman commented. “Is the person who wants to rent a gun looking jittery or nervous? Do they seem distraught? What exactly are they coming in for? Most shooters visit a range in groups or pairs because shooting is done as a social and recreational activity. When someone comes in alone saying they just want to shoot, and they’re not related to military or law enforcement, that right there is a red flag that needs to be addressed. The gun shop owner and RSO should talk to them, assess them, and go into the range with them to make sure they’re there to shoot.